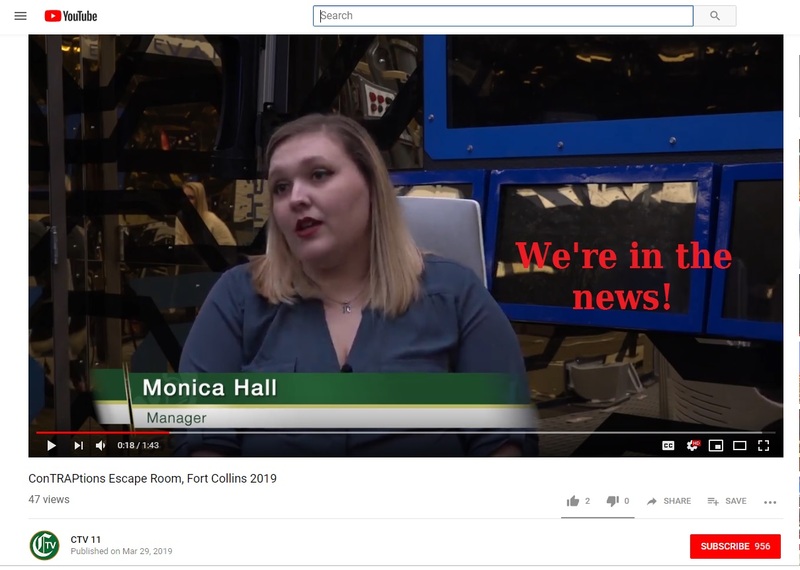 Our escape room promo this summer is straight from the news! As part of our escape room promo, share our news on your social media and receive 10% off your booking! Check out our escape room promo, now through July 31st. Help us generate some buzz about our new 90 minute space room and get 10% off your booking when you share the news with your friends on social media! Book with us, then share either this blog post or the below video that the Rocky Mountain Collegian CTV 11 has filmed about us. Email us at contact@escape.place with a screenshot of your share and we will apply a retroactive discount to your booking! Our very own Monica Hall gave the Collegian a peak at the tech in our rooms. This expo of course came with an insider view of the awesome automated motion in our newest room, Plight of the Margo. Part 2 of Plight of the Margo is coming soon! Part 1 is open now, and we’re hoping to have part 2 open by the end of spring. If you are interested in scheduling a game in Plight of the Margo outside of hours or on weekdays, please drop us a line! Enjoy the tour, and we hope you’ll come visit us soon! Make sure to use this promo when you book!